When adding keywords to AccuRanker users can opt to ignore local packs. Here is how this can impact rankings and why it is needed. This option will change the way rankings are counted and displayed in AccuRanker. 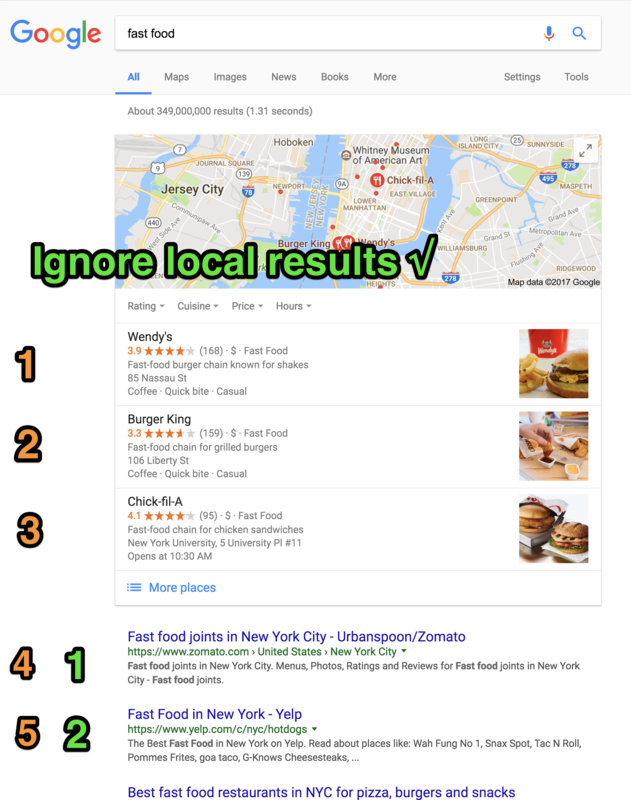 When the "Ignore Local Pack" option is checked for individual keywords the local packs (if any) are ignored and the count begins after the local results featured snippet. When the "Ignored Local Pack" option is checked for a keyword, a red location pin icon is shown. 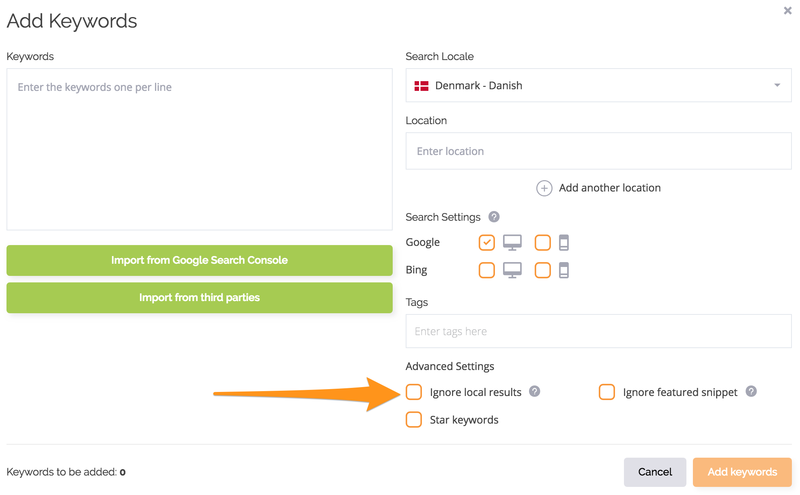 To see how you can change keyword settings (and ignore local results), click here.